Awesome article in The Atlantic about the science and process that goes into Google’s maps and directions. The maps you see represent the combination of many different sources of information. 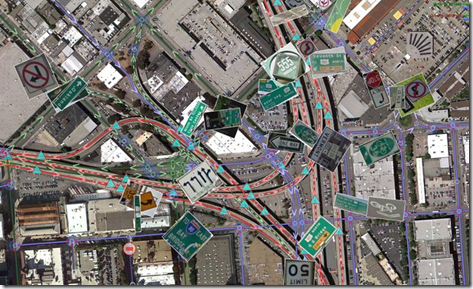 For example, the map below includes street signs captured by Street View cars driving around.